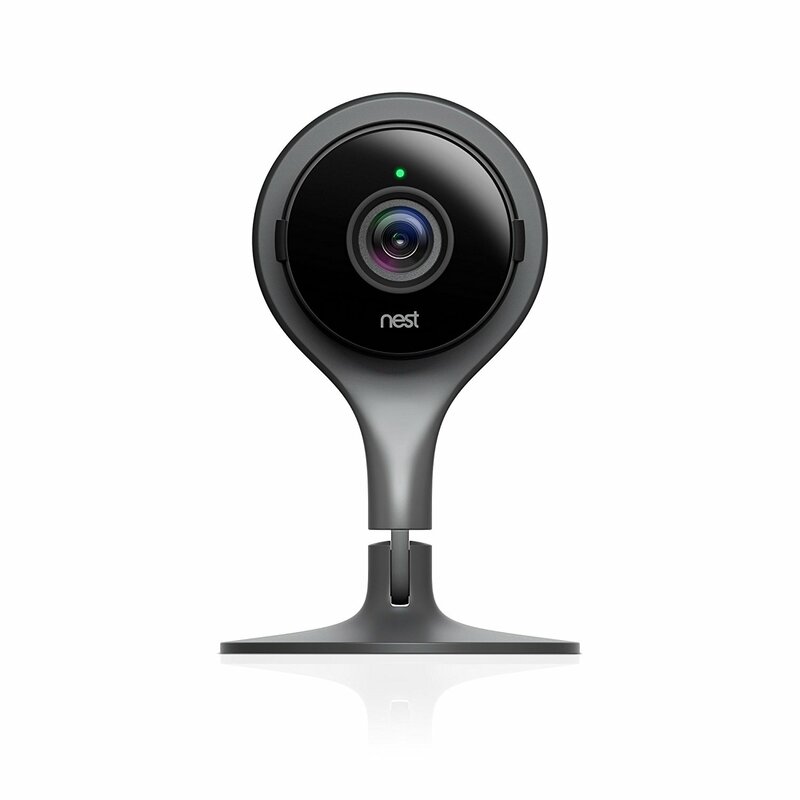 An IP camera is a device that can transmit video data via the internet. 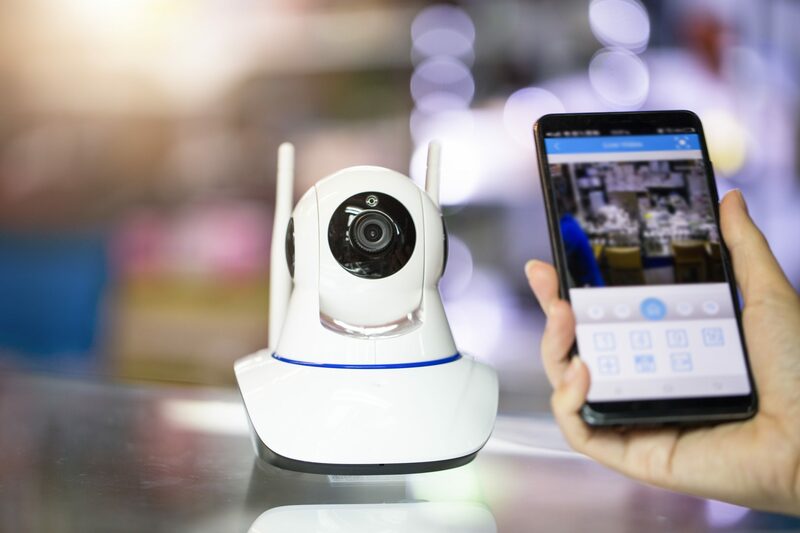 You can us an IP camera to live stream the video they capture via, laptop, smart phone or any device connected to the internet. As long as the device is connected to the internet you can view the video from anywhere in the world. This means they make great indoor security cameras, as well as the fact that they’re not complicated to install and have no wiring costs. There are only 2 things that affect where you put your indoor security camera, first thing is whether or not your IP camera needs to be plugged in. This can limit the places you can put it, as it needs to be in reach of a plug. The other consideration is how wide your cameras field of view is and how much of the room you want to cover. So before you drill it in anywhere, you need to check if you are seeing what you want to see. Do you want a high quality picture? The resolution on these IP cameras normally ranges from 720p to 1080p, the higher the number the clearer images you are going to get. A higher quality image does take up more storage, but you need to balance that with the need to have the crispest image possible. It depends if you want to be able to identify a burglar’s face, or just want to see what the kids are up to when you’re not there. What home security camera should you buy? 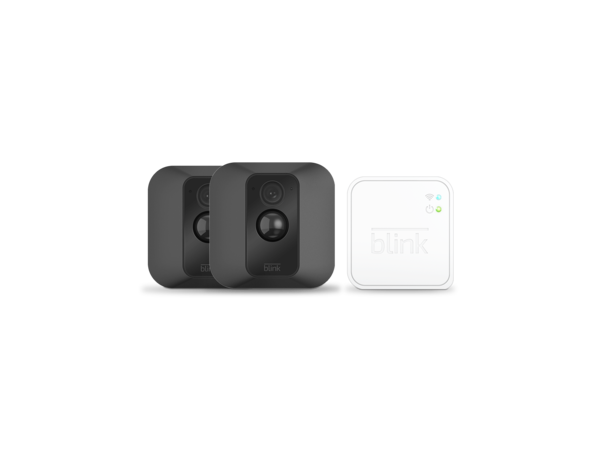 The Belkin is relatively inexpensive compared to other cameras, although you do have to pay monthly to store the footage taken in your house. The camera resolution is 720p, which is at the lower end of the scale, but you still get a good quality image. 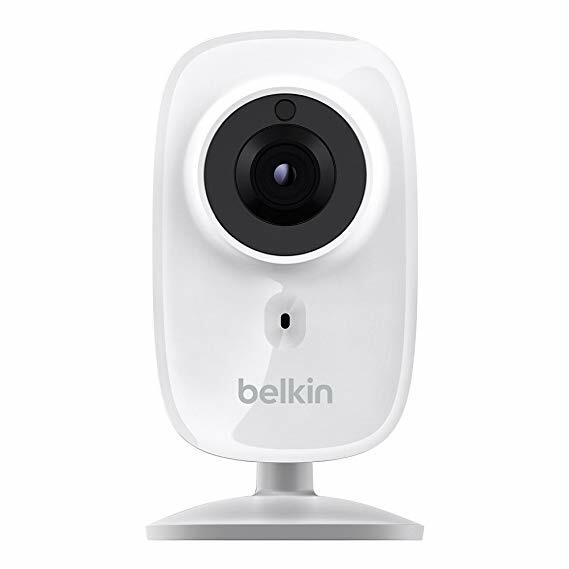 The Belkin has a 95 degree field of view, which is not that much compared to others on the list. It does have night vision, so you can get a decent image in the dark (when most burglars tend to strike). The Flex isn’t badly priced at just under £200, but it lacks some of the finesse of other indoor security cameras. You don’t have to plug it in as it can run off a (rechargeable) battery. But the battery life is only 2 months, a lot less than other models on this list. It comes with a magnetic mount, which means the Flex is easily readjusted so you can test, which angle to use for the best view. The camera has a 720p resolution and a viewing angle of 113 degrees; this should be enough to cover the whole of an average sized room. The app is relatively easy to use, and puts your video clips which the Flex feels are most important. It does have an inferred night vison mode, but it’s been reported that the picture isn’t the best quality. 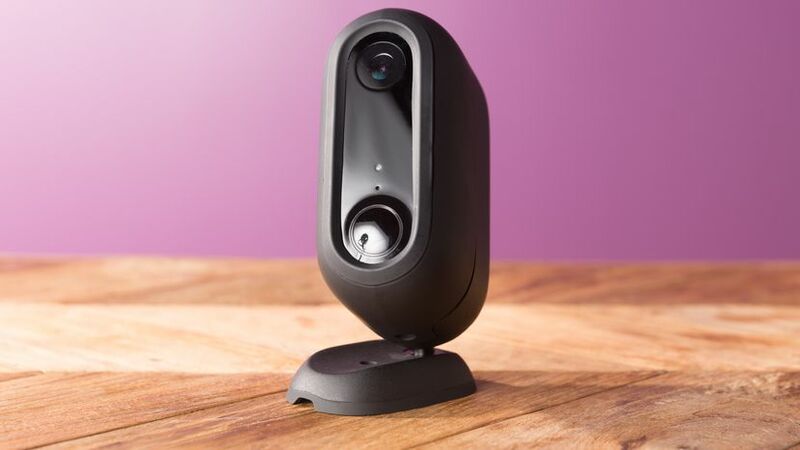 The Canary Flex isn’t a bad camera for the price, but there are better IP cameras out there for roughly the same price. 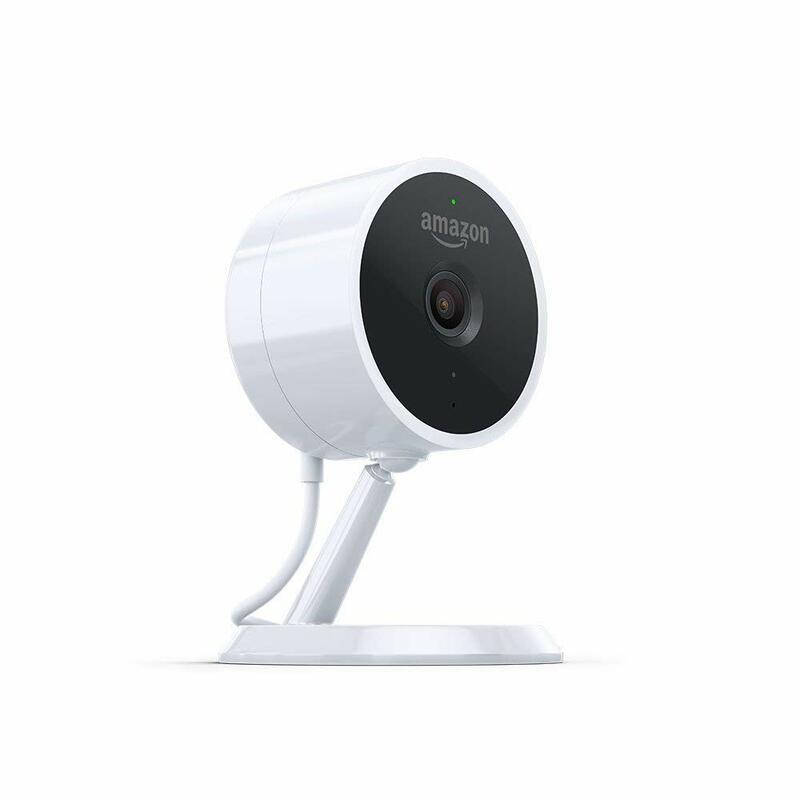 As with any Amazon product, you can be sure to get a good quality piece of kit with the Cloud Cam. It boasts all the features of the more expensive IP cameras such as, night vision, HD picture and two-way talk and audio recording. It also has a clever bit of technology that means it can distinguish animals from humans, so you don’t get false alarms. With the app you can divide your house into zones, and tell the Cloud Cam to ignore movement in an area of your home that is busy. For example, if you leave your dog in the kitchen while you’re at work, you can deactivate that area. The Cloud Cam has a 1080p resolution and a 120 degree viewing angle, both of which aren’t bad for the price at around £110. You do have to pay £6 a month for video storage, but this isn’t unusual for these types of home security cameras. 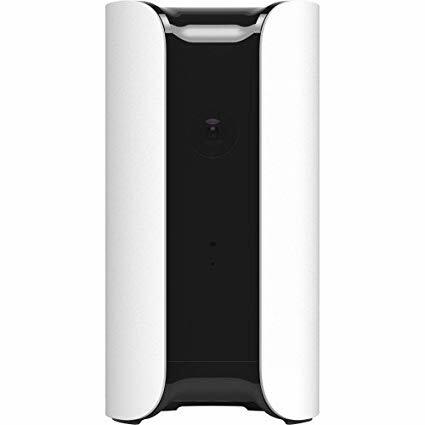 If you are looking for an entire home security system as well as a camera, you might want to look at the Canary all-in-one. It not only includes a camera, but a smoke detector, air quality detector a 90 decibel alarm. The camera itself has 1080p resolution and a 147 degree field of view. You do have to plug the Canary into the wall, which can be annoying depending on where you want to put it. Like some others on this list, the Canary has a two way speaker system so you can sooth pets or try to ward off intruders. It sells for around £158 which isn’t too expensive, but you do have to consider the cost of storing your footage, which is about £10 a month. Canary claim that the All-In-one is ‘constantly learning’, and adjusts to your preferences. It knows when you’re around and will ‘auto arm’ when you leave the house. It can even tell the difference between your regular activity and ‘unusual’ activity in your home.